Go to Drive and create a new Achievement Group. Once you are in the Achievement groups builder, create your achievements by tapping “Create Achievement.” In each one of these Achievements, you have the ability to add individual tasks. Remember your Achievement Group is the overall package which contains Achievements, and those Achievements contain your individual tasks. The hierarchy goes Achievement Group - Achievements - Tasks. Choose your Achievement Type next. An Achievement Type can be any activity your learner can interact with inside the app such as completing a quiz or viewing content. 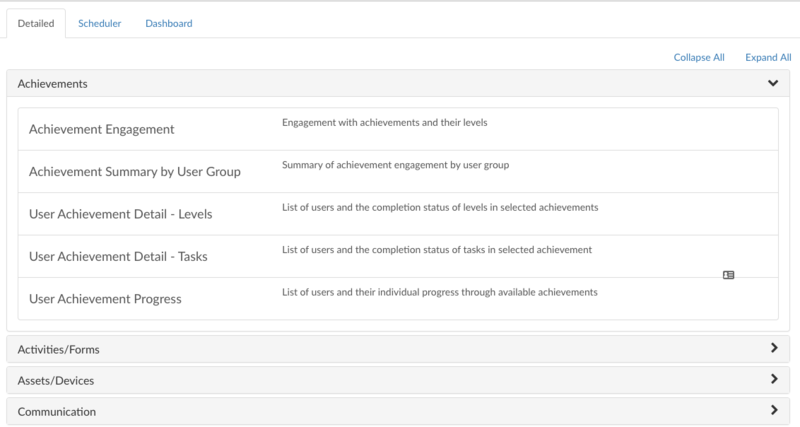 Once you have selected the task, drag and drop it into the Achievement Group. 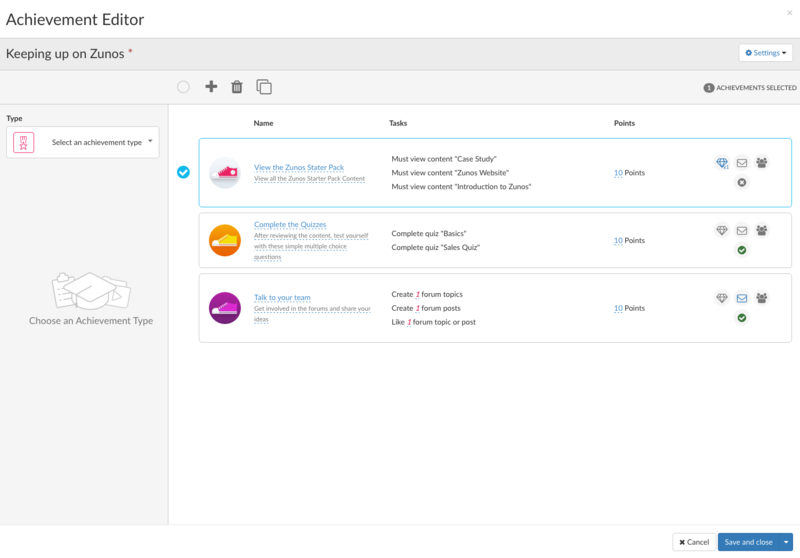 You can add multiple tasks, change their order, and update the Achievement information you wish to share with users to build out your Achievement Group. Remember less is always more. If you have a large program, break the Achievements down into small bite-size pieces. If a single Achievement within the group takes more than 15 minutes to complete, you run the risk of losing your learner's attention. To keep learners engaged, give badges for every 10 or so minutes spent completing tasks on the app. On average, an Achievement Group should take about 30 to 45 minutes to complete. However, this is just a guideline and anything that suits the needs of your program can be implemented by adding less or more Achievements and tasks to an Achievement Group. Don't forget the hierarchy, Achievement Group - Achievements - Tasks. Stick to 5 or fewer Achievements in each Achievement Group. Limit tasks for each Achievement to 5 or less. In your Achievement Settings, you can update the name of your Achievement Group, make your Achievements pop with eye-catching imagery and much more. Name and Description: Set your learners up for success by naming your Achievement and writing a description which will appear on the app telling the users what the Achievement includes and how long it will take them to complete. Notification Message: Let your users know when new Achievements are available by sending a notification message. Groups: Target your Achievements to specific groups within your organization. If you leave this blank, your notification and Achievement will be sent to all users. Publish and Expiry Date: Choose the dates and times the Achievement will be available for your learners. Thumbnail/ Achievement Badge: Click on the image to update it, you can upload your own badge image or choose from the default set. 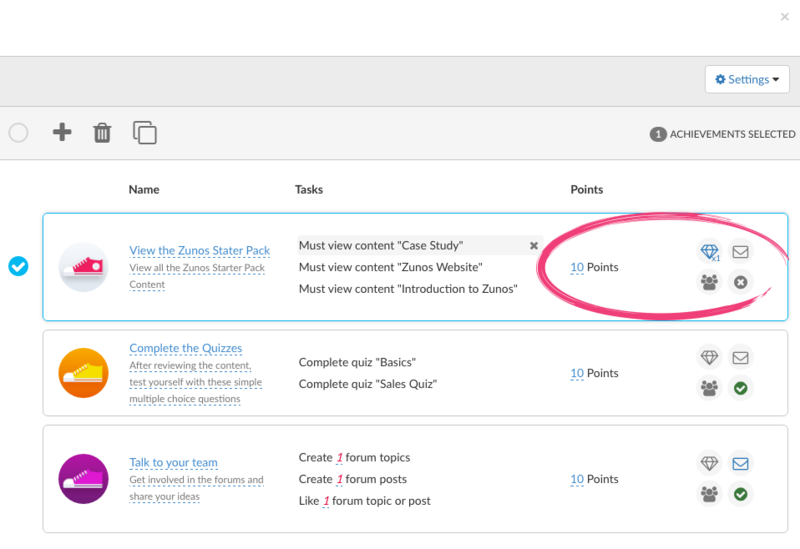 Points: On each Achievement that you add with in the Achievement group, you can allocate the number of points your learners can receive on completion. Virtual Rewards: The diamond symbol beside the Achievement lets you attach a virtual reward on completion of an achievement. A virtual reward can be a content item, form or quiz. Simply click the diamond and choose from the drop-down menu to add your reward. Active/ Inactive: And finally ensure the Achievement is active by ensuring there is a green tick. If it's a cross (as shown in the image below) click the cross to make it active. Update Rules: Any text that is underlined and is blue or pink can be changed. Simple click on the text to update the details or rules of the tasks. Change the setting to “unlock the Achievements in order” to ensure your users complete the Achievements in a sequential order. Note that tasks do not have to be completed in sequential order. If you require this capability create a course instead. Your learners can store, view and even pin the Achievement group badge they earn in the app to their profile image. The badge they can pin is the thumbnail badge added to the Achievement Group. Earning virtual rewards is another way to motivate users to come back daily to learn more and stay on top of the Leaderboard. For example, a virtual reward can be a form made available to users who can submit it to claim their prize. Or it could also be a folder full of extra content which can be viewed to achieve bonus points to top the leaderboard. Run Reports regularly to check the progress of your users. Schedule reports to arrive weekly or daily, depending on the requirements of your program, you can stay up to date on which users are succeeding and who needs help.